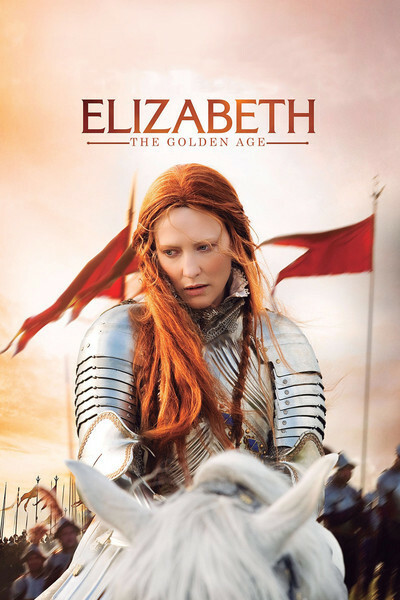 Elizabeth: The Golden Age – Did You See That One? 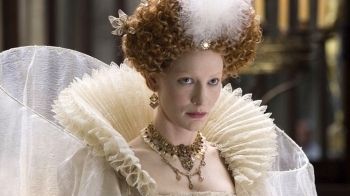 Once again Elizabeth (Blanchett) is faced with intrigue from within her court and from the outside world. As she faces down the looming war with Spain, Elizabeth also looks for ways to cope with her personal struggles. This film is the sequel to Elizabeth. That 1998 film featured a very talented cast, a great story, and it earned seven Oscar nominations. This sequel was released nine years after the first film and went on to earn two Oscar nominations of its own. Director Shekhar Kapur (New York, I Love You) took on this followup project to his 1998 work. The screenplay was penned by Michael Hirst (The Deceivers) and William Nicholson (Gladiator). The cast brings back Cate Blanchett (Blue Jasmine) and Geoffrey Rush (Munich). 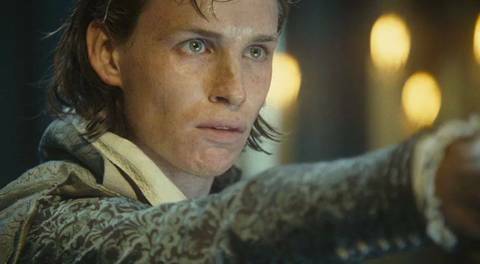 The new faces in the film include Clive Owen (Killer Elite), Samantha Morton (Minority Report), and Eddie Redmayne (The Theory of Everything). This story picks up with a more mature Elizabeth than we saw throughout most of the first movie. The action begins relatively early as the intrigue and politicking pick up steam quickly. This film takes more liberty with the history than the first film did, but it’s not something that really affects the success of the story. Unfortunately this movie doesn’t have the same power as the first. This time the story doesn’t evolve Elizabeth’s character as much as it should have. As a more static person she’s not nearly as interesting. Thankfully there are a number of unique characters around her that keep this from being a bad film. The dialogue and the action are well-written, so it’s still got a lot to offer. Don’t expect this one to live up to the great story the first film had. It’s still a fun watch though. The acting in this movie is really good. Cate Blanchett picks up right where she left off, skillfully bringing this dynamic woman to life. Blanchett’s performance brings out an intensity in the character that really pay off nicely. She’s also got good chemistry with the other stars in this movie. She would earn an Oscar nomination for Best Actress for her work in this one. Geoffrey Rush also comes back with another great performance. He brings dignity to his role that really helps with the tone of the film. These two are joined by a number of actors who help bringing the story to life. 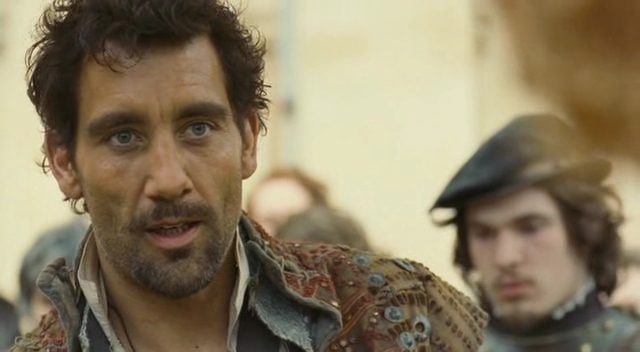 Clive Owen was a nice choice to play Sir Walter Raleigh in this movie. He brought out the explorer within his role and gave him an edge that keeps the story more interesting. He also has really good chemistry with Blanchett. Their scenes together are some of the more intimate and intense within the film. Samantha Morton and Eddie Redmayne are also great additions to the cast. Their performances add a lot to the overall success of the movie. The rest of the cast all come together and do good work with the story. The acting is limited by the writing, but it’s able to overcome some of the weaknesses for some powerful moments. This movie is just as stunning as the first film when it comes to the costuming and makeup work. Alexandra Byrne (Avengers: Age of Ultron) won her first Oscar for her costume design for this movie. The cinematography is also excellent in this one. There is also some good work done with C.G.I. 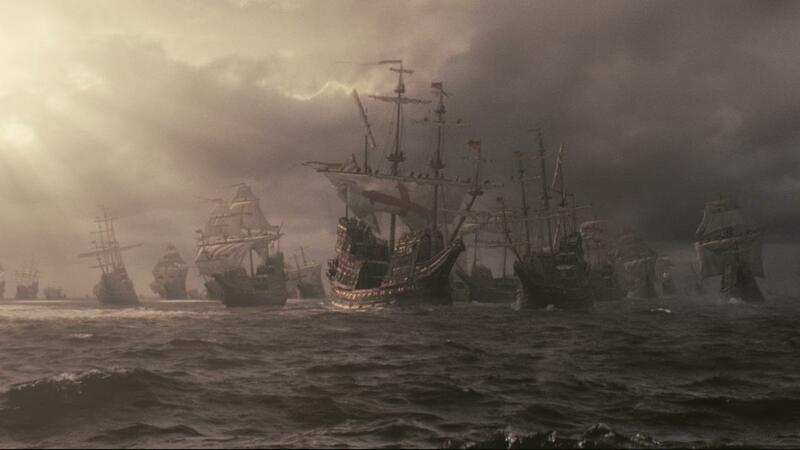 that helps to create the battle between the English Navy and the Spanish Armada. Overall, there is a lot of good visual work done in this movie. The score is also nicely written, and accentuates the story nicely. This movie had a lot to live up to after the wonderful work done on Elizabeth. While it doesn’t quite hit the mark, this still has a lot to offer. If you’re a fan of the first one, make sure to check this out. I would also recommend this one to fans of the stars in the film. This is a good biographical drama that plays with history in all the expected Hollywood ways. I give this one 3.7 out of 5 stars. Nice review, it isn’t as riveting as the first, but Blanchett is still a force of nature. She’s so good that the less successful aspects of this can almost be overlooked. Exactly, she’s that good as an actress you can overlook whatever flaws plague the film. This movie would have been much more successful and focused had it just been about The Spanish Armada. That’s a story in itself and by making Liz a support character you can focus much more on the better part of the movie. That’s a great observation. I totally see that having been a better film.